Without the use of electricity, Chabad’s kosher cafeteria staff headed by Chezky Adler fired up the natural gas ovens and began a cooking marathon to keep up with the number of students piling into the 52,000 sq.ft.building. 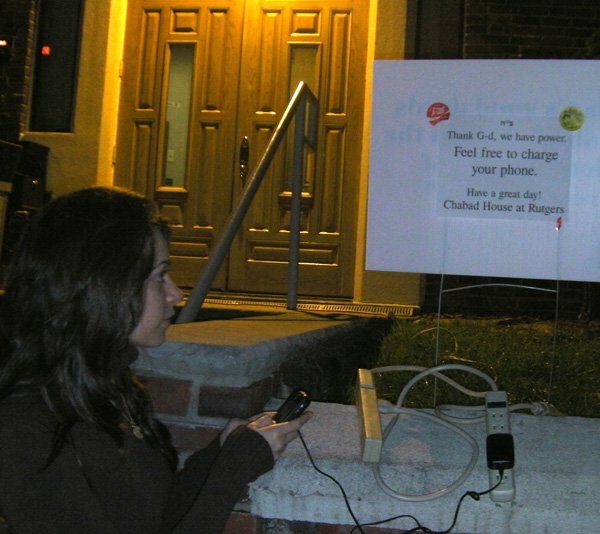 With no computers or cell phone reception, emergency guidance and building protocol were provided by Chabad’s Educational Director Rabbi Shaya Shagalow and Resident Advisor (RA) Talia Friedman to prepare the crowds of Chabad dorm residents and guests for the storm. 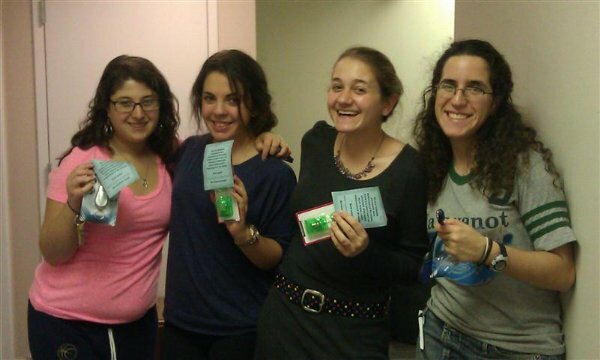 “Talia was amazing,” stated Rabbi Goodman, Chabad’s Campus Director, “from warmly welcoming in all those students and meeting with them to review emergency procedures, setting up beds and linens, and preparing the first aid kits, to organizing the presentation and clean up of food, it was Talia who single-handedly took on Sandy!” “We made sure that everyone who came to Chabad would be safe,” Talia proudly stated. 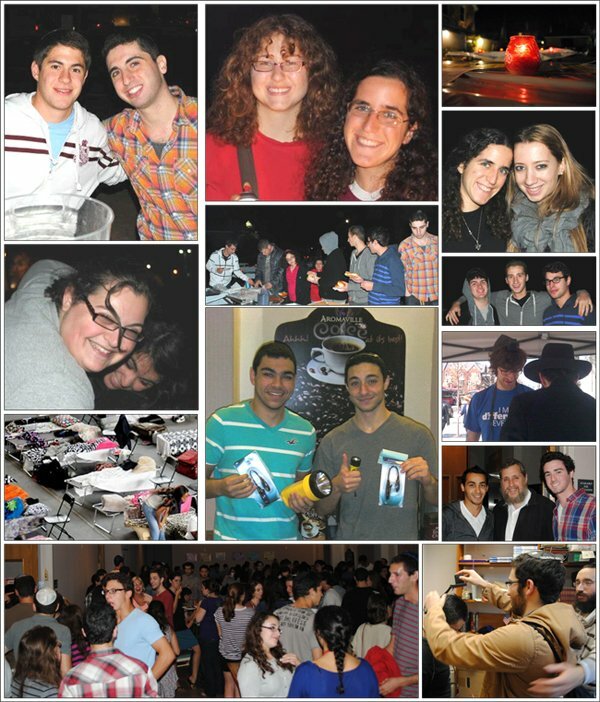 Student volunteers, including Rachel Ullman, David Schenkler, Jordana Silberstein, Devorah Friedman, Benjy Ratzersdorfer, Martelle Spiewak, Michael Gevertzman, Ari Lopatin, Biana Gorelik, Aliza Kaplan, and David Goldmeier provided key assistance during the storm to keep up with numbers of students seeking shelter, food and a secure atmosphere. “We applaud and thank these students who rose to the occasion and provided such vital services and care for their fellow Rutgers students during the sudden evacuation of the campus,” commented Rabbi Carlebach. 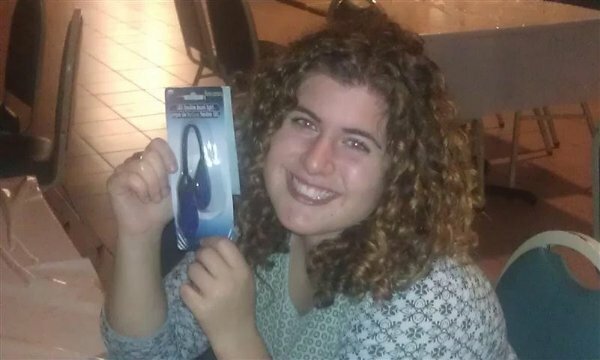 “All student volunteers also made sure [via texting and facebook] that friends in other dorms knew that Chabad was open, safe and welcoming,” added Talia.